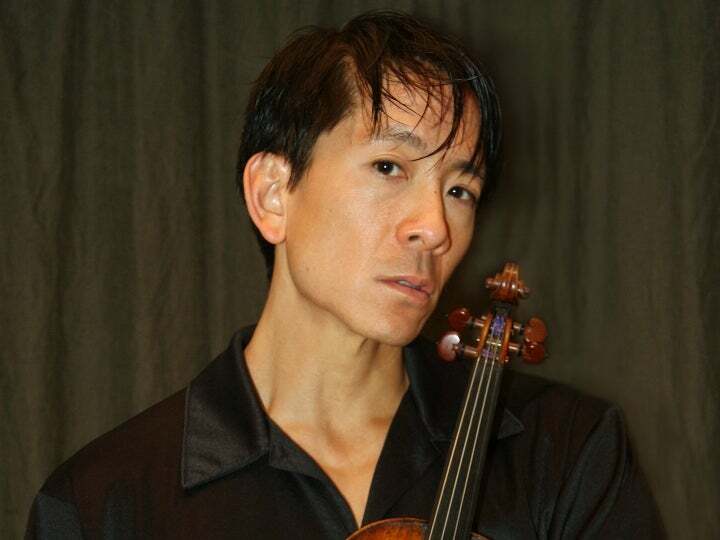 JAMES TSAO, originally from Los Angeles, began his violin studies at age 7. 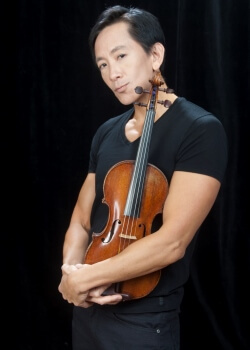 He received his bachelor’s and master’s degrees in violin performance from The Juilliard School, where he was awarded the Irving Berlin Fellowship and the Samuel Gardner Prize in Violin. He is a member of the American Symphony Orchestra, as well as the New Jersey Symphony Orchestra. In addition to his classical concerts, he has been extremely fortunate to play a wide range of popular music. He has toured nationally and internationally with Barbra Streisand, and he has performed in more than 20 Broadway musicals, including Lincoln Center’s The Light in the Piazza and South Pacific. His most recent Broadway show was Ghost, the Musical at the Lunt-Fontanne Theatre. MUSICAL BEGINNINGS: I started playing violin when I was about 6. I’m the youngest of three, and my big sister chose violin in school. I remember how I used to go to her teacher’s house and play with the cats; at one point, I stopped playing with the cats and started taking violin lessons. CAREER CALLING: I didn’t know [playing professionally] was what I wanted to do for a long time. I actually went to Columbia University for a year. I played for a few people and they said I had to switch to a music conservatory if I wanted to get serious. I went to Juilliard to try things out, and I stuck with it. MEMORABLE MUSIC ENCOUNTER: When I was very young, I saw Itzhak Perlman in concert. I just thought it was the most amazing thing, and I went backstage to talk to him. He said that if you’re serious about playing, you have to practice three hours a day. ADVICE FOR YOUNG MUSICIANS: Practice, and look for many different musical experiences, because these days professional musicians cannot just do one thing. They have to be very versatile, and they have to present themselves to different audiences and in different ways. VERSATILITY: I’m a member of the American Symphony Orchestra, and I also play shows around town. I’ve performed cabaret and dance club performances with DJs; I’ve toured with Barbra Streisand. HOBBIES: I’m a fitness enthusiast, so I work out or go for a run almost every day. I usually lift weights; I have a workout partner, and we’re very regular about it every week. I read, and I love to throw dinner parties. I’ve been finding all sorts of different cooking recipes online. WHY MUSIC MATTERS: It evokes emotions without necessarily describing anything literally.